Serenity is a low glass bowl arrangement. The glass container is a lovely heavy vase and good for keeping after the flowers have passed ther used by date. 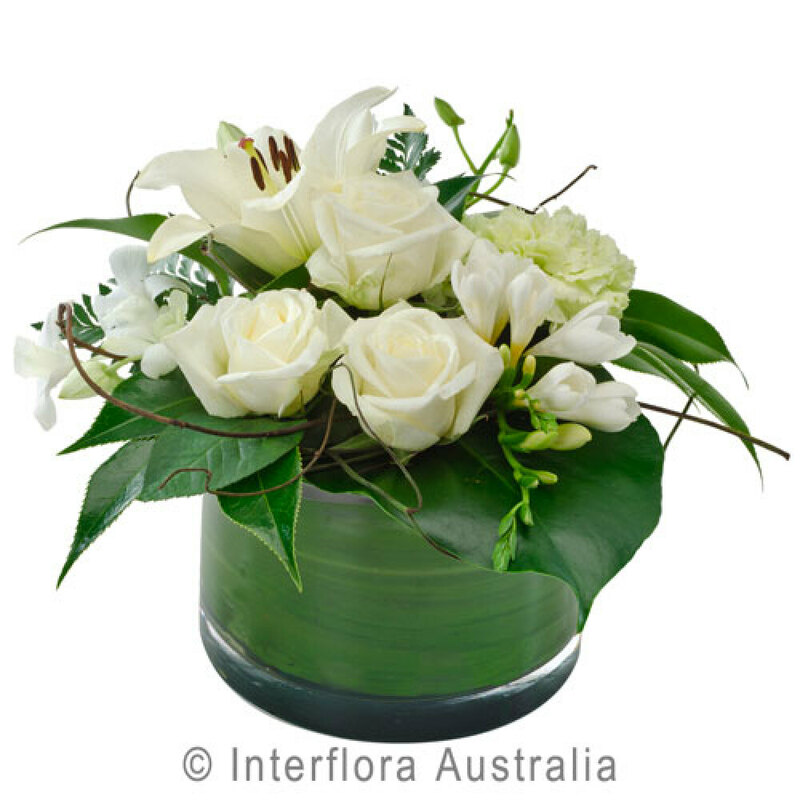 The flowers used are roses, lilies and seasonal white fillers like fressias and chrysantheum`s. The arrangement is certainly a stunning piece for any gift you may have in mind.